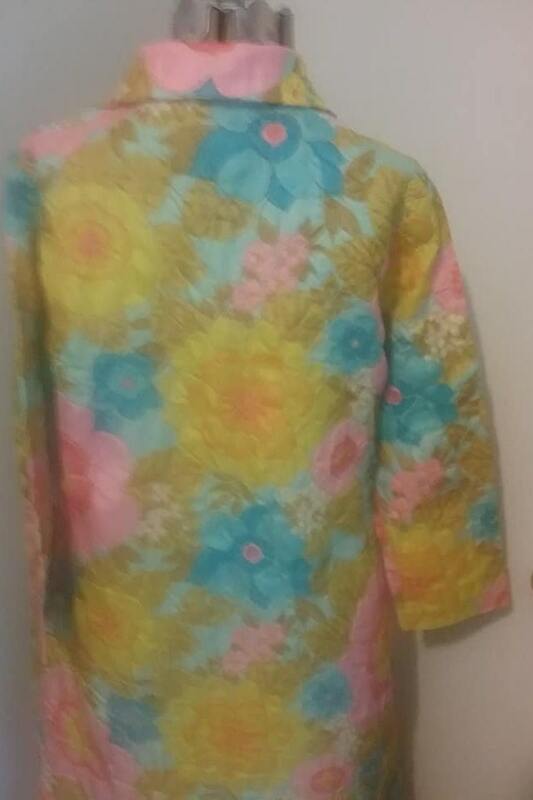 1960s Colorful Floral robe by Mr. Robert. 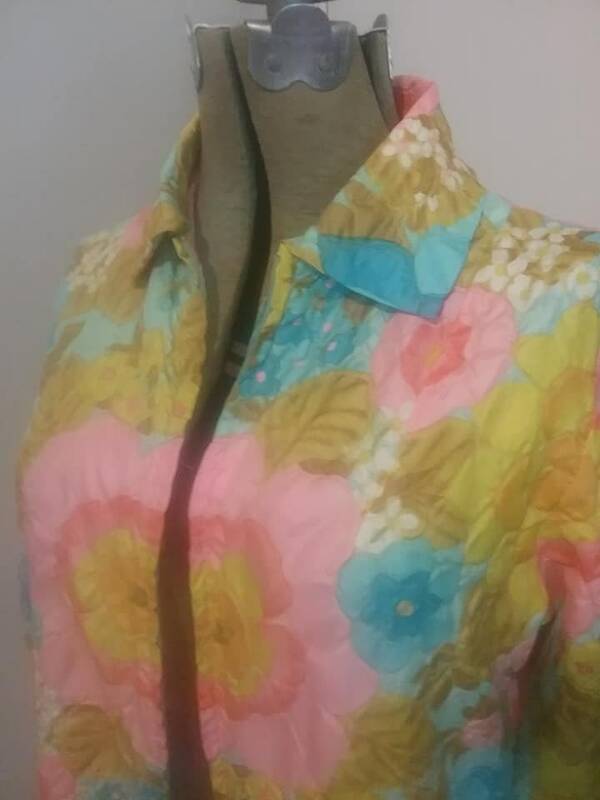 Gorgeous, vibrant colors and floral pattern are in very good - excellent vintage condition. 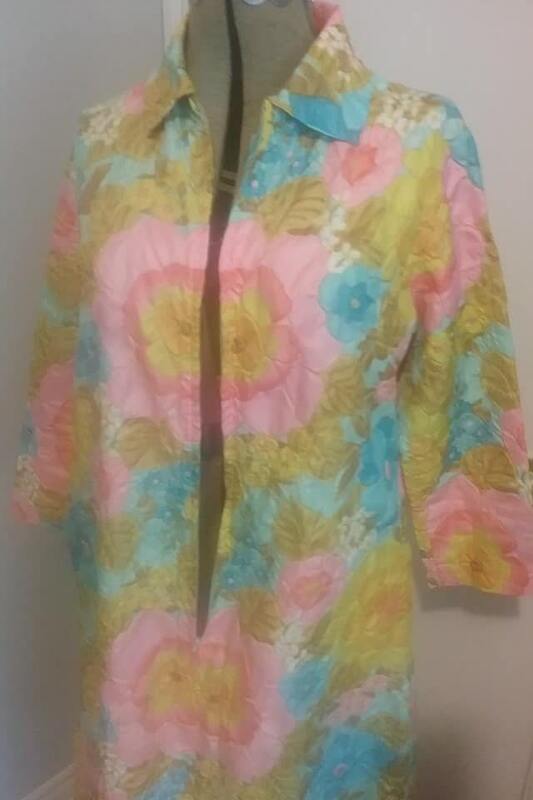 Polyester, it has a 1/2 zipper front. Light weight and textured. 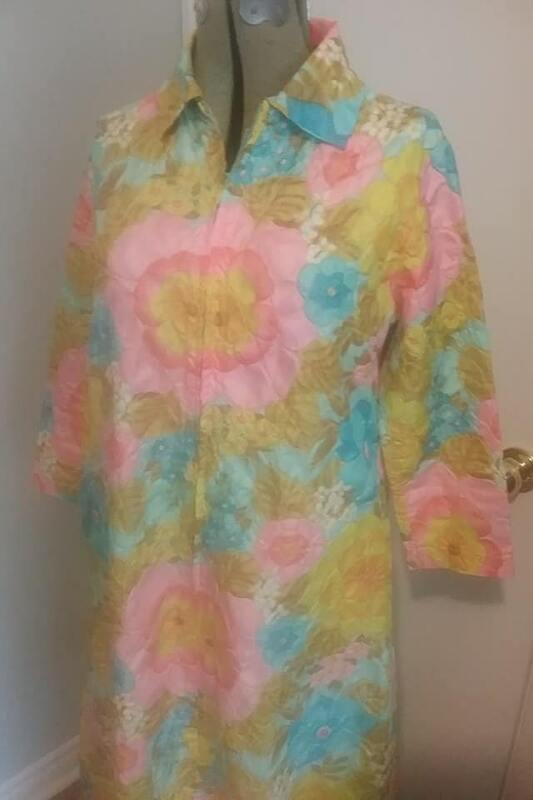 The approx sizes are: Bust 40", waist 40", hips 52", length 51", sleeve 19" and shoulders 15". 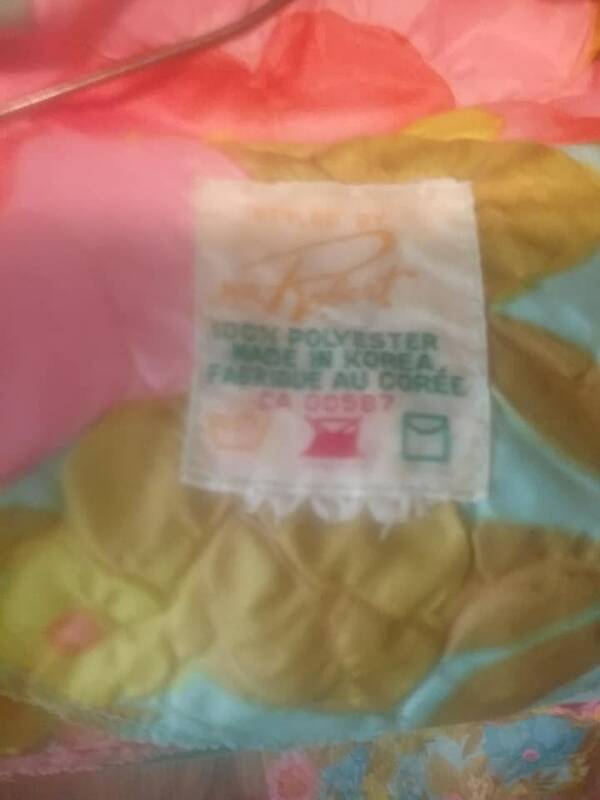 Varies between a large and an extra large....check out measurements. 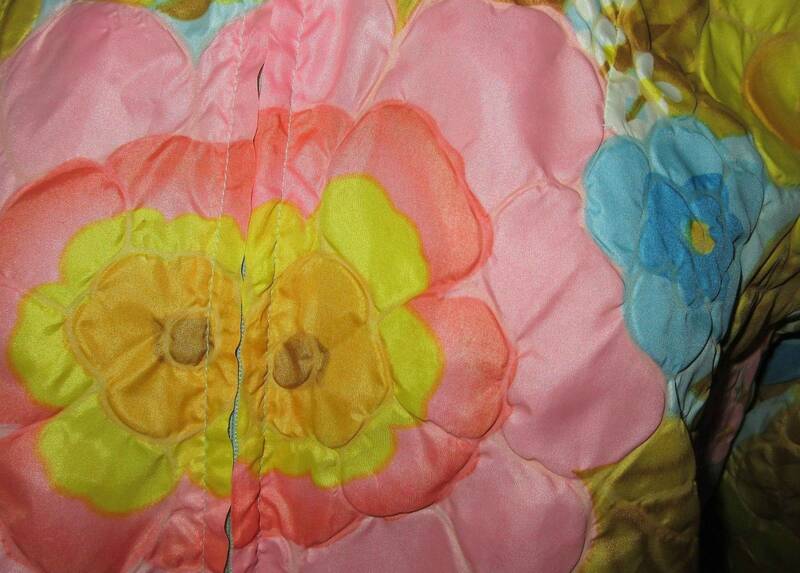 This is a beautiful, Flower Power, reminder of the 1960's....feel beautiful while lounging!